We live in a modern digital world, but everyone still loves receiving a good, old-fashioned holiday card in the mail. 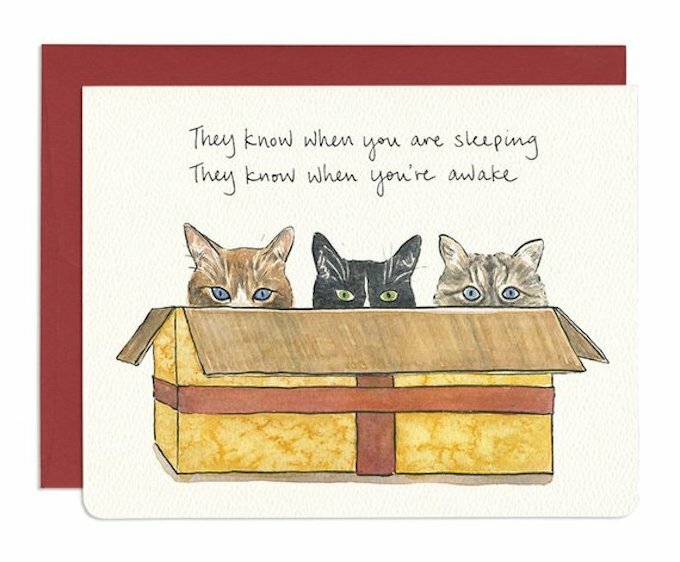 Thankfully, there are a bunch of eye-catching cat-themed cards you can snap up to send to your feline-loving family and friends. 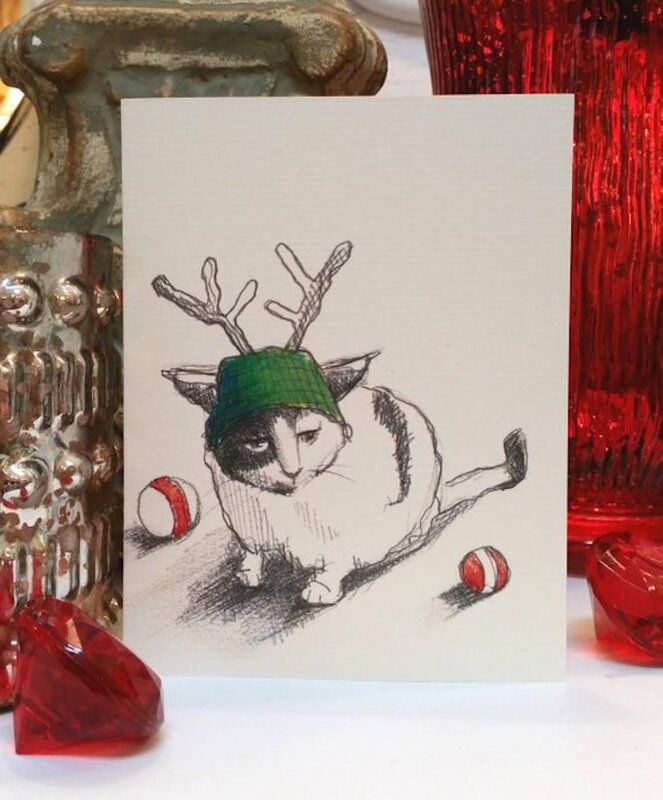 Here’s a showcase of seven cat-themed cards you can order in time for the holidays. 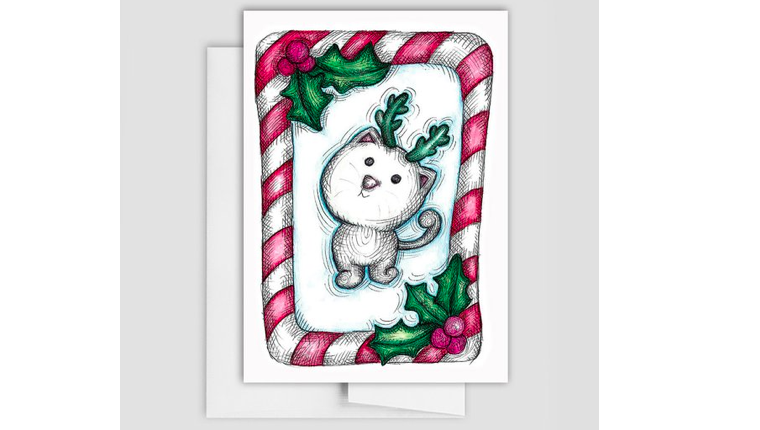 WidyCat‘s illustrated range is full of feline-focused cards, including this adorable festive kitty dressed up in reindeer antlers and surrounded by candy canes. The rest of the New York City-based brand’s line also includes cats re-imagined as Harry Potter house characters. You can buy this card on Etsy. 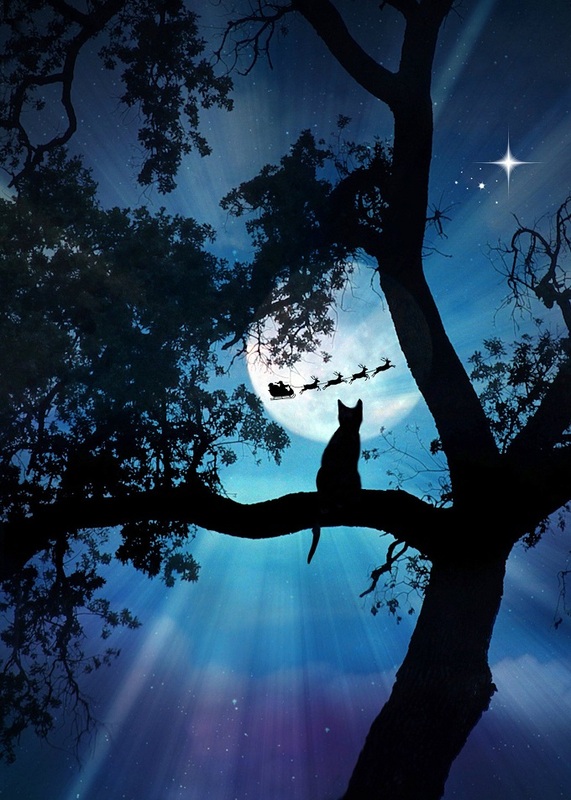 This card from Equine And Wine embraces a magical and mystical vibe, showcasing a silhouetted cat perched in a tree while Santa and his reindeer fly by in the distance. You can buy this card at Greeting Card Universe. 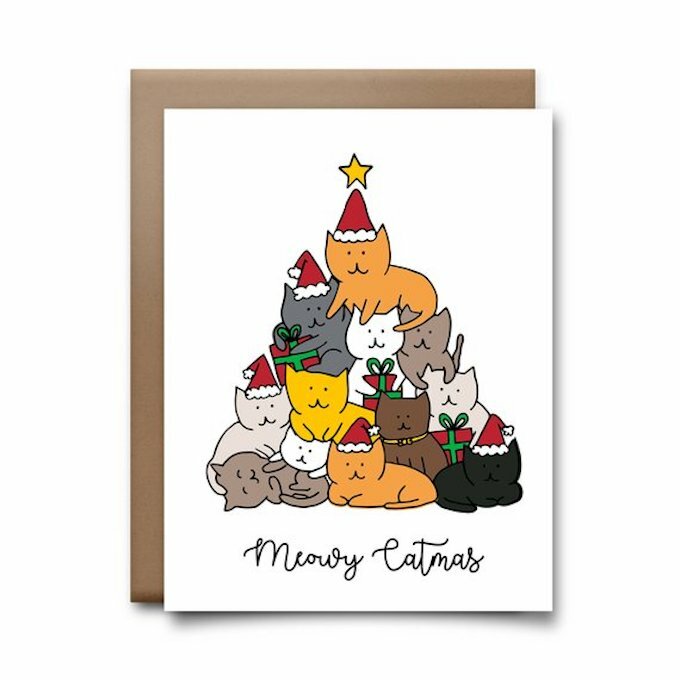 What’s not to love about 12 cats piled on top of each other to create an impromptu Christmas tree? You can buy this card on Etsy. 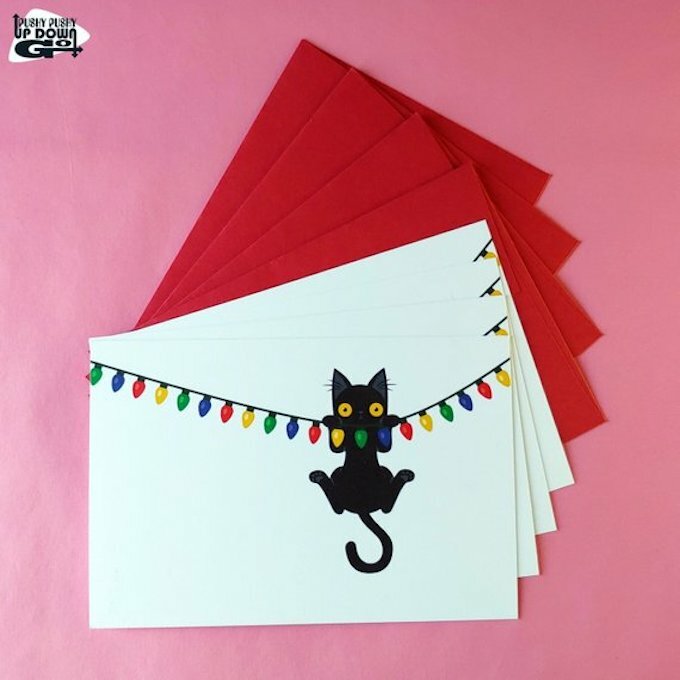 There’s a whole lot of black cat business going on with Pushy Pushy Up Down Go’s line of cards, including this mischievous black kitty who’s gotten herself into a predicament with some holiday lights. You can buy this card on Etsy. Consider this sour puss greeting card for your friend who insists on taking a bah humbug approach to the holiday season. You can buy this card on Etsy. We all know that the real reason cats love the holiday season is because of all the cardboard boxes and wrapping paper they get to frolic with. Celebrate that side of Christmas with this illustrated card by the Gotamago studio from Toronto. You can buy this card on Etsy. 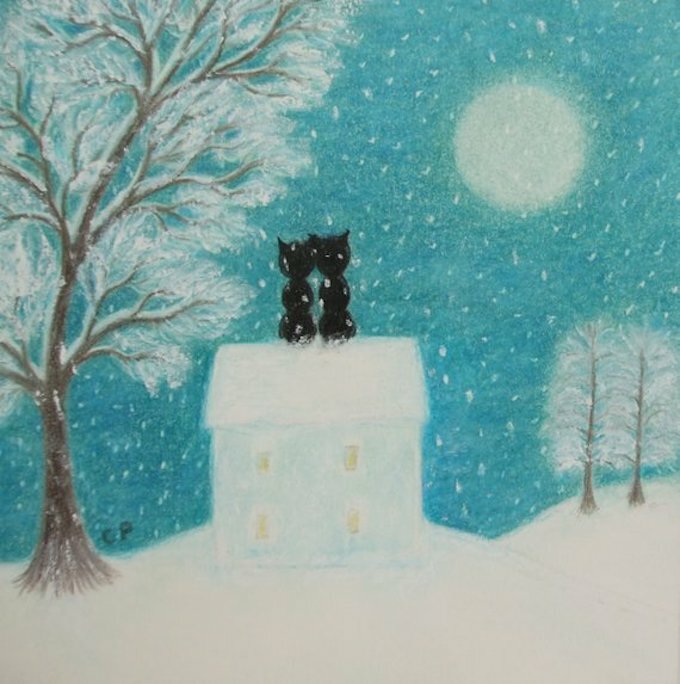 These two black cats perched on the roof of their home have just one holiday wish: let it snow. You can buy this card on Etsy. 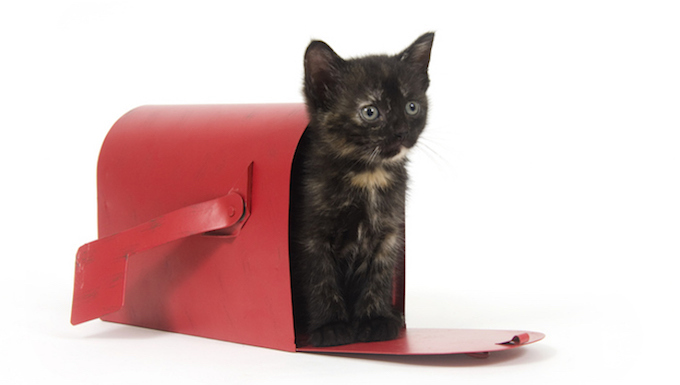 Are you sending any kitty Christmas cards this year? Are you happy to get cat cards for the holidays? Let us know in the comments below!